FPCL’s Management structure is headed by a Chief Executive Officer who manages and runs the overall policies and operations of FPCL. 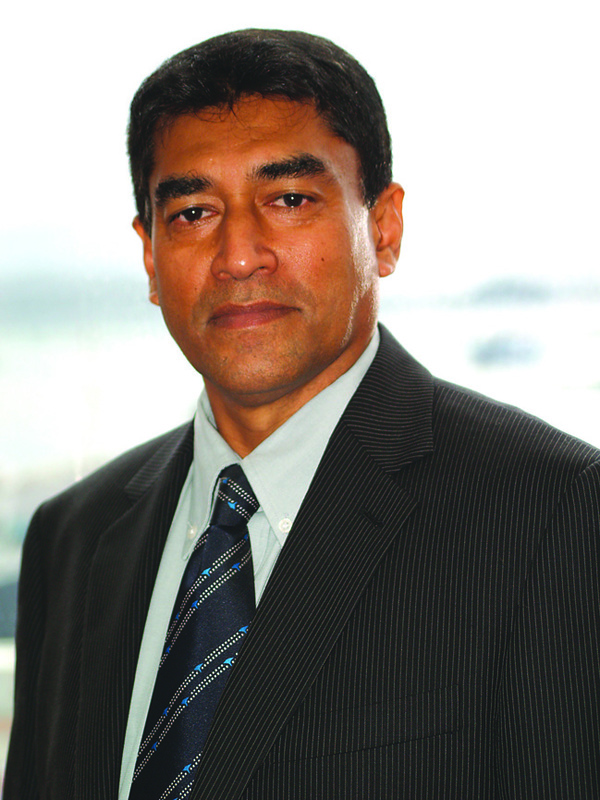 Vajira Piyasena joined Fiji Ports Corporation Limited as CEO in 2011. He is a Chartered Fellow of the Chartered Institute of Logistics and Transport (UK), Fellow of the Chartered Quality Institute (UK), Fellow of the Institute of Marine Engineering Science and Technology (UK), Fellow of the Chartered Management Institute (UK) and a Fellow of the Royal Institution of Naval Architects (UK).He qualified in UK as a Marine Chief Engineer and had a seagoing career serving with major international shipping companies. He is also a Chartered Engineer (CEng), Chartered Quality Professional (CQP), Chartered Manager (CMgr) and an Incorporated Engineer, Engineering Council (UK). His professional career and diverse experience spans over 30 years in the areas of maritime industry, academic sector and management consultancy. His expertise also extends to international shipping, marine engineering, maritime education & training, ship repairs & ship building and maritime safety. As a management consultant he has worked with over 100 companies in projects comprising developing integrated management systems, policy development, corporate restructuring and international business development. Vajira has a MBA and a Master’s Degree in Engineering Management including several other post graduate qualifications in the areas of Production and Technology, Quality and Operations Management and International Affairs concentrating International Law. His research work includes developing a “Productivity based Engineering model for Port Development Policy Analysis and Implications” focused on the government Port Development Policy and competitive effectiveness in productivity to develop Port of Colombo, Sri Lanka as a Hub Port in the South Asian region. He has received Executive Training from Harvard Business School and Goizueta Business School. 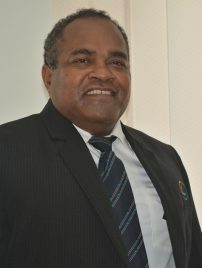 In addition, he is also a member of MBA Advisory Committee of University of South Pacific and a Member of the Review Panel for Fiji Business Excellence Award. Appointed as CFO in 2017. Roshan Abeyesundere is a strategic commercial finance leader who has significant international exposure. He is passionate about enhancing value in organisations by focusing and improving key business processors and value drivers. He is a former Group Accountant of New Zealand Post Group. At New Zealand Post he worked as commercial manager for six years, designing and implementing new revenue generating projects. 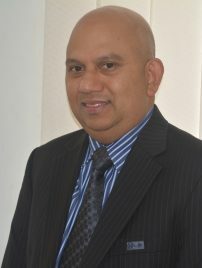 For four years he was CFO of Dispute Resolution Services Limited New Zealand, responsible for leading finance,IT,risk,property,commercial and administration functions in five major cities in New Zealand.Mr Abeyesundere has obtained a MBA from Victoria University Wellington. He is a Chartered Globe Management Accountant(CGMA), a Charted Marketer UK and holds the Chartered Marketing UK qualification MCIM. He is a Fellow member of both the Chartered Institute of Management Accountant (UK) and CPA Australia. Appointed as Harbor Master in 2014 for Port of Suva. Capt Lai has more than 25 years’ experience in the domestic and international maritime industry. Furthering his career in the maritime industry he joined FIMSA now known as MSAF in 2006 and attained the certificate of a Gazetted Marine Surveyor. In 2008 he graduated from NZ Maritime College attaining the Certificate of Competency for Class 1 Mates and Class 2 Masters FC COC. He is also a certified Marine Deck Examiner. In February 2017 he was appointed as Acting Chief Operating Officer.